WOMEN'S groups have suggested a pension scheme or help for housewives to re-join the workforce to ensure they have enough money to retire on. The Association of Women for Action and Research (Aware) threw up the idea of a social pension like the Silver Support Scheme for the elderly, in response to calls for family members to top up the Central Provident Fund (CPF) accounts of housewives. Voluntary CPF top-ups are of limited help as low-income earners cannot contribute much, Dr Vivienne Wee, Aware's research and advocacy director, told The Straits Times. She added that women who remain dependent on the goodwill or financial savvy of their spouse or children are also open to abuse. "Any top-up needs to be mandatory to be effective," she said. On Sunday, the People's Action Party Women's Wing had called for working children and husbands to make regular voluntary top-ups to the CPF accounts of stay-home mothers. This suggestion reiterates how important it is to help "this group of Singaporeans build up their CPF savings for their retirement, medical and housing needs", said Ms Sylvia Choo, director of the National Trades Union Congress (NTUC) Women's Development Secretariat. It had made a similar suggestion earlier to the CPF Advisory Panel, to get working spouses to top up the CPF accounts of their non-working other halves. Another group, Women Empowered for Work and Mothering (Wewam), said top-ups might help, but they take from the same family retirement pie. 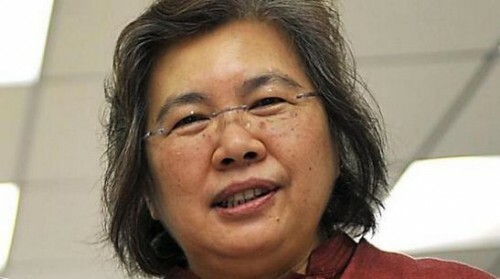 Its founder and president Yeo Miu Ean said it is better to encourage women to return to work. "The Government can consider providing funding for additional CPF to stay-home mothers who return to the workforce during a re-entry period, a year, for example," she told The Straits Times. Ms Yeo said mothers should be given flexible work arrangements. "I hope that we will look into the needs and aspirations of stay-home mothers beyond CPF contributions," she added. The NTUC women's group was also in favour of wooing more women back to work. "We will continue to strengthen our efforts and work closely with employers to nurture a family-friendly culture in the workplace," said Ms Choo.